Clive Nolan wrote on his Facebook page that 'Solomon' is back on the setlist, from yesterday. Now all albums are represented. Too late for us though . Speaking of Facebook, Arena seems to have a new Facebook page . So what happened to this one then? I know, I also wondered. They've lost the password or the band wants a FB page for every new album . At last: news about the upcoming DVD release including cover artwork: here. It is looking great and I'm sure it will sound great too . But, I'll probably get this one, regardless of the cover! Anyway, I hope there will be lots of guitar and keyboard solos. Or even long(er) instrumental sections like the middle part of Solomon. I'm not that interested in yet another Script tour to be honest. Perhaps Mick needs a new project because Arena and Script alone is not much... Perhaps he can team up with Paul Wrightson and John Jowitt and start another Arena side project. Or is he still selling kitchens as well? What are Paul and John (and Ian) up to nowadays anyway? The venue in Zwolle, The Netherlands (Hedon) announced a gig on 4th of May. You can count me in . The whole 'The Visitor' album . My bet is on a sequel to "The Visitor". Really cool! You will probably see me there as well. 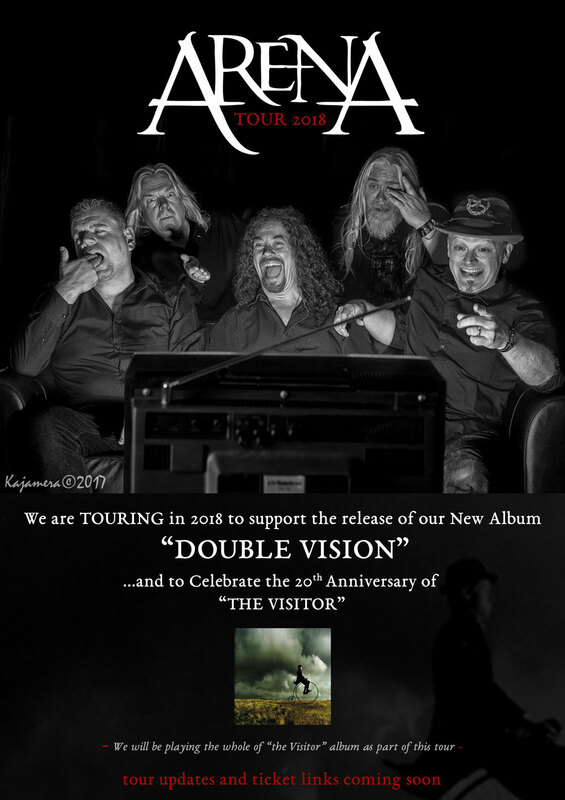 The website has been updated, cover of new album 'Double Vision' revealed, ready to pre order http://www.arenaband.co.uk/. Getting into the mood for this one .